This last month, well 2018 in general, has just gotten away from me. We've had so many crazy changes, I'm trying SO hard to keep updated on my pregnancy (more for me than for any of you!) and it's just been insane! Blogging lately just hasn't been what it used to for me. I've been thinking a lot lately about social media, followers, what types of things I feel like I should be posting and what types of things I actually want to post, etc. I've been so overwhelmed with posting and being this person that will get lots of likes and followers to "build my brand" and all that stuff. That's not what this was ever supposed to be about. I love collaborating with amazing companies and I love getting emails and messages from people telling me that something I wrote actually mattered. I love looking back and reading old posts and laughing about how sappy I was, or crying as I remember how hard a time was for me. It's beautiful to see my past self in writing. I've come to the conclusion that it's time to do some things for me. I feel like in a lot of ways my career path, my social media, my hobbies, all of it has been about doing the things I was supposed to, the things that would make money, or the things that would look good to others. It's been about competition and stress. And I'm done with that. I want to be more about the things that I love, the things that bring me joy, and being happy with where I'm at. Right at this moment. 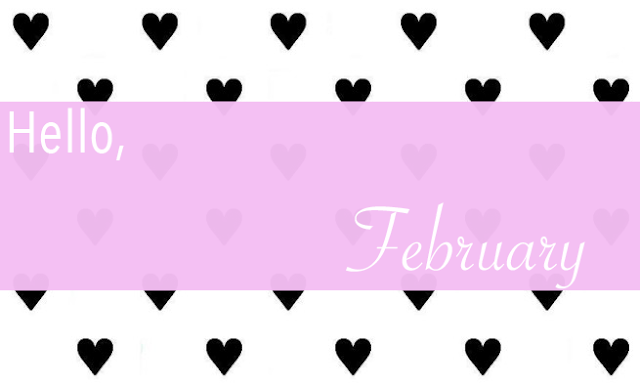 So, I'm doing love month again this year - February is such a hard month after the holidays and the new year and all that jazz, we need some love. But it's just going to be the ramblings of my wild head and heart and that's great. I guess this first post is all about loving LIFE. I don't want to be embarrassed about the things I want to spend time doing. I don't want to feel guilty about my guilty pleasures, but instead I want to love them openly and not care what anyone else has to say about it.